Mindy Adkins has been a classroom teacher for the last 18 years. She has taught internationally through the Department of Defense and has experience teaching in urban, suburban, and rural areas across Ohio. Along with classroom teaching, Mindy is currently a math coach and mentor for teachers interested in mastering the art of mathematics instruction. 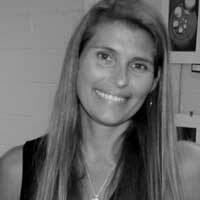 Mindy specializes in Common Core training, instructional organization, assessment design and math coaching. Mindy has earned a Master's Degree in Literacy from Ashland University, successfully completed the Master Teacher Program, and is a certified Resident Mentor. Additionally, she was chosen to attend the Michelson Exxon Mobile Teacher Academy in New York City. Most recently, she was the recipient of the Ohio Council of Teachers of Mathematics Outstanding Elementary Teacher Award for Central Ohio. Mindy and her husband Sean enjoy watching their two daughters' sporting events. She also enjoys going to the gym and working on home improvement projects.